The Angel Tree program has been helping local families for nearly 130 years and relies heavily on the generosity of our local community. We participated in the Angel Tree toy drive and the Salvation Army “Toyland Days” last year, and we’re excited to be coming back for more! 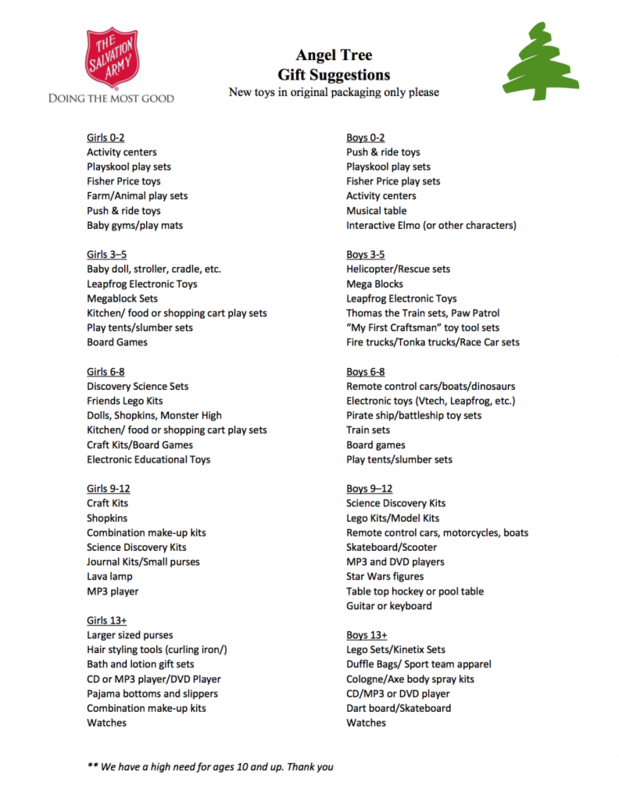 The Angel Tree program collects new, packaged Christmas gifts anonymously donated by the community. The gifts are then distributed to low-income families in the Omaha metro at no cost to them. Millions of children across America go without Christmas gifts because their parents can’t afford them. The financial and emotional stress certainly dampens the holiday spirit in families living in poverty. To be frank, we’d love your toy donations. There is nothing more satisfying or humbling than helping even just one child have a little merrier of a Christmas. We will be collecting toy donations at our office (18010 R Plaza, Suite 102, Omaha, NE 68136) through Friday, December 7th. Toy donations should be purchased in the $15-30 price range and delivered in its original packaging. We can promise Christmas cheer and excited high fives from anyone and everyone that chooses to donate toys! Not sure what to give? We have some ideas for you here. Delivered to the Omaha Media Group Office. Friday, December 7th, 2018 deadline. Send us a quick message to let us know you're dropping toy donations off!